For accurate measurements, make sure that the tape measure is stretched tight so that there is not any slack in the tape. Measure from inside of first post to inside of last post on straight run. Windscreen should only cover the fence mesh/material. DO NOT include end posts in the measurement. Measure width and height inside of gate frame. Important: Do not fasten one screen to the next(one attachment accessory per grommet). Do not over tighten. On Site: Make all measurements on site when possible, rather than from drawings. Take Notes: Make note of each measurement immediately. DO NOT make multiple measurements before writing them down.measurements before writing them down. 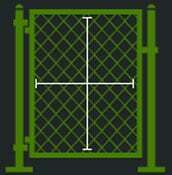 Whole Inch: Send exact measurements of all fencing and gates in feet and inches. 50' Max: When possible, try to keep windscreen panels at a maximum of 50 feet in length. This allows for easier handling and installation. Hang the hems of the binding in toward the fence, smooth side out (typically the outside of the fence). Start with a top corner of the fence and top corner grommet and work your way down to bottom of the fence. Once you have attached each grommet, work your way down the fence line (left to right or right to left) starting at the top and stretching material as you go. Once you reach the end of the section, return and do the same at the bottom porting of the screen. REMEMBER: Stretch material tight with each attachment for a clean, wrinkle-free fit. 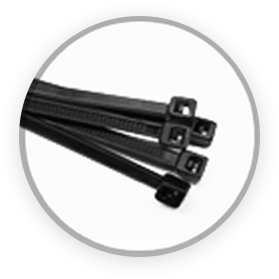 Self-locking, UV Nylon, High-tensile Fasteners speed any windscreen installation and are designed for outdoor fencing. 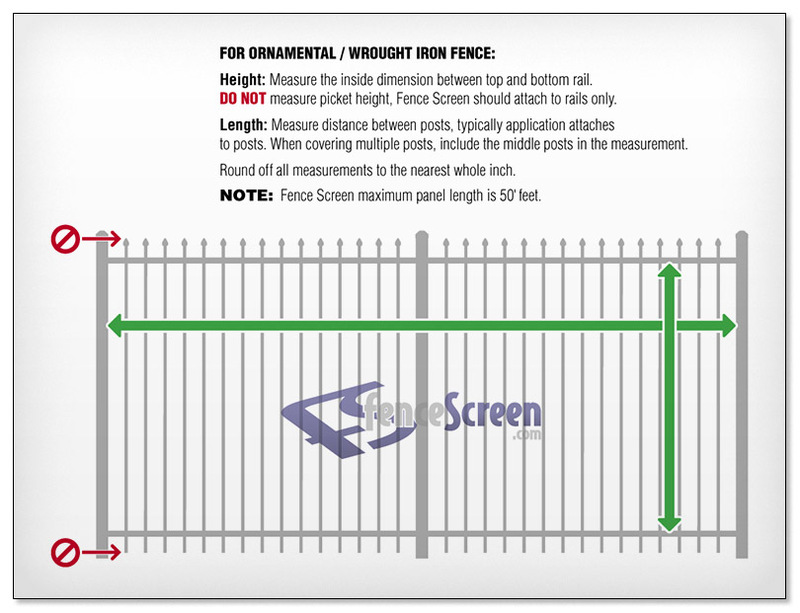 FenceScreen offers three sizes, our standard L7 fasteners, our Heavy Duty L8 industrial grade fasteners, and Extra Long L14 fasteners for mounting to non-standard attachment points. All of our fasteners are outdoor rated, very strong and easy to handle. Available in Black color only. 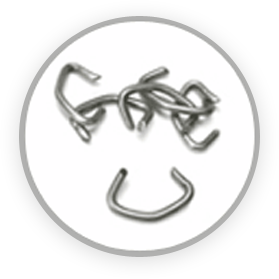 Hog Rings are galvanized steel rings that crimp closed into each grommet. Hog rings are typically used for High Security, Commercial, or Industrial applications. Available in standard Galvanized Grey, PVC Coated Black, or PVC Coated Green. Hog Ring Pliers are recommended for installation. Simply hose down your windscreen for cleaning from time to time. The force of the water should remove grit and other abrasive particles that can damage the screen over time. Let the product air dry and it will look great for years. Should the product ever get cut or torn, be sure to repair it immediately to avoid further damage.